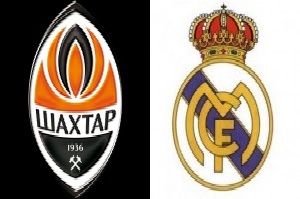 Shakhtar will meet Real Madrid in a Champions League game on Wednesday evening. Real Madrid were given a lesson by Barcelona in El Clasico at the weekend. Losing 4-0 is an embarrassment. Away in Ukraine will be a different game entirely. Real will will have the majority of possession and will have time to build their attack effectively. Benzema will be closer to to his best after returning at the weekend as will Ronaldo and Bale. All three should start and Real will bounce back with three points in this game. Los Blancos defeated Shakhtar in their last game with 4-0. I expect another comfortable win, which will secure the first position in the group.